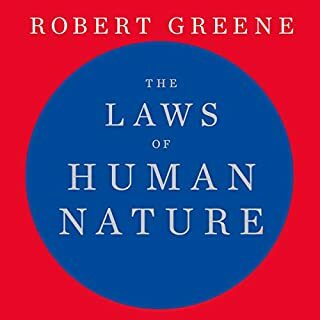 This should be a compulsory read for every human being. 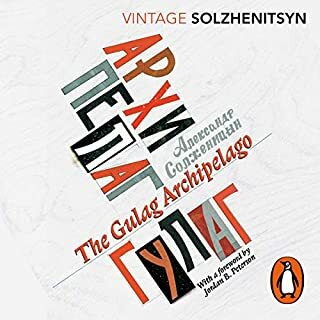 The account of his days in concentration camps is a pure recount of events, from the perspective of a human being as opposed to most literature on the subject that add a patina of impersonality. I felt his pain, but most of all I felt his hope and deep humanity. I couldn't give a perfect score because the second part of this book is an academic dissertation on the subject of logo-therapy, that although interesting, felt a bit out of place. Narration is great, clear and suited. Intense in a very meaningful way. This was 5 hrs of my life I shall hold dear, declaring that I felt truly alive and inspired by humanities potential to realising profound greatness. 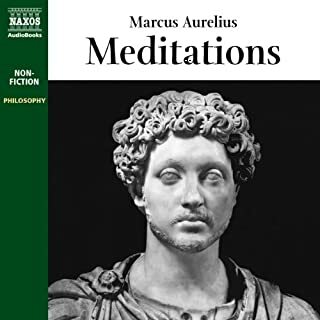 Good narration, excellent content and griping insight. 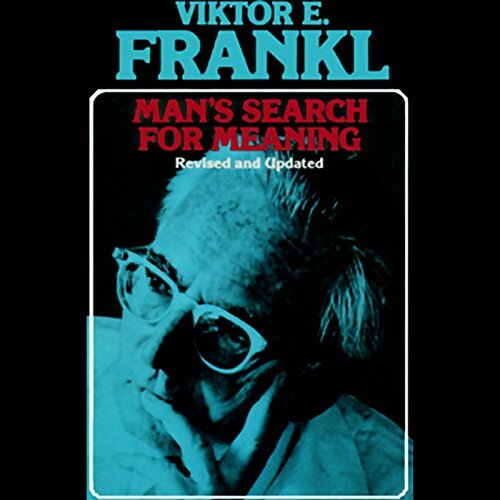 Frankl makes a compelling point throughout the book about finding meaning in your suffering. Frankl goes into detail about said point when he, in the first chapter, discusses his hellish experiences in a Nazi labor camp. 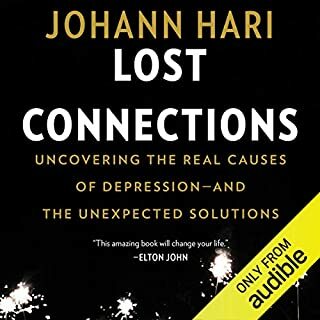 In the second chapter, he goes into further detail by talking about his form psychotherapy, known as Logotherapy, where patients learn how they can find meaning in their suffering in order to live a more fulfilling life. 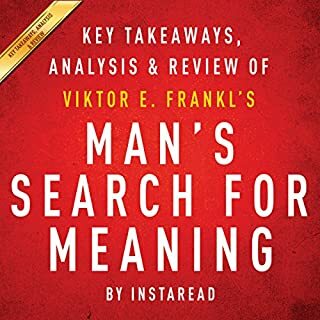 Although the second chapter does drag a little at times, 'Man’s Search for Meaning' is still a book that I highly recommend, especially if you ever find yourself going through many challenging situations in life. an exceptional story that is narrated very well. the life stories shared have shifted my paradigms abd forever changed the lens through which I see the world. highly recommended. Great book that will humble and illuminate you. Read beautifully and set out in a thoughtful and understandable way. 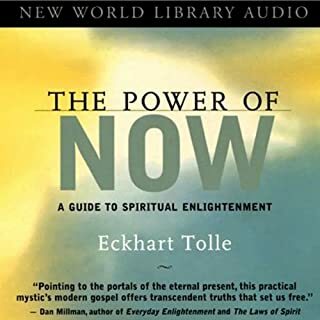 Highly recommend not only the book, but the listening experience as well. 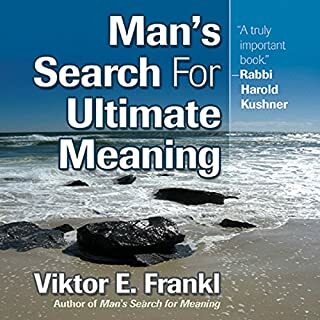 As we all look for some sort of meaning in our lives, this book opens a powerful conversation on how we have the choice in every situations to discover an empowering meaning in our actions and way of being. Insight into humanity and triumph over suffering. A must read in this age if we are to avoid the worst of human urges and foster societies based on selfless values. 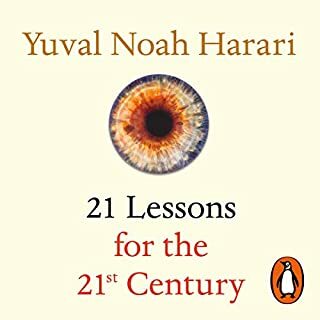 So, we all know about the Holocaust, yet this book is a bit different - told with such "tragic optimism" that the message is not moral outrage or repulsion, but of meaning in the midst of unimaginable degradation. The "why" that makes the "how" of suffering bearable. Frankle quotes Nietzsche throughout. The most moving passages for me were his imagined conversations with his wife, (who probably by that time was dead), which nonetheless gave him the purpose for continuing to live, and the glimpses of Nature, such as sunsets, raw in beauty, beyond the barbed wire. His message is simple - it is in loving the people we love and in the struggle that our lives demand of us, that we find meaning that transcends the mere pleasure principle. 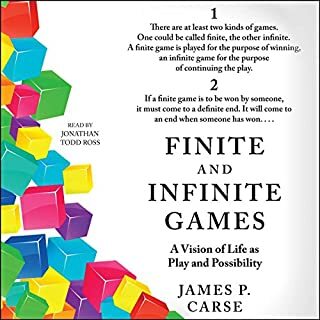 Our own "ontic logos" is individually uncovered, not found through intellectual introspection on "THE meaning of life" (which is a nonsense and which usually just leads to neurosis). 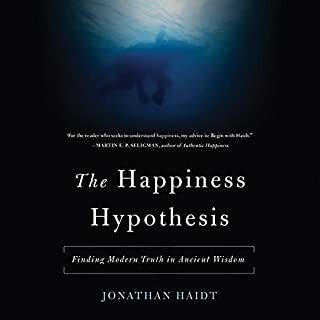 Frankle highlights the contemporary consumerist "tyranny of happiness", which is endemic in the West, so that many patients feel not just unhappy, but deeply ashamed of their unhappiness. Existentialism is not popular in the zeitgeist, but I think we can learn much from that generation who lived through the War, and the Holocaust, and developed such philosophies of coping with terrible hardship and suffering. By contrast, we can be very superficial, and self centred, and it left me considering what issues I cared about enough to take action on. Would I regret not doing so otherwise? Yes, probably - as an opportunity wasted! This is a humane, inspiring, potentially life changing book; well narrated, subtle, profound and unpretentious. It deserves the highest rating. Throw out your self-help books! This is an utterly remarkable book for so many reasons. What strikes me most about it is how it really gives meaning to the idea that the whole can be greater than the sum of its parts. 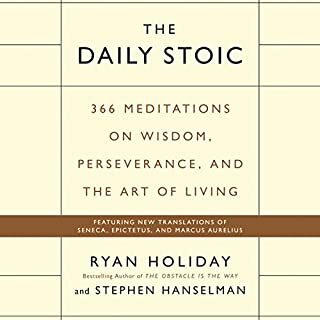 What I mean by this is the following: the book is not great psychology, nor great philosophy nor even great narrative. And yet, as a whole I would call it a great book. Why? Because it makes a definitive impact. I cannot say that I walked away from this book unchanged. I suppose it is Viktor Frankl himself who makes all the difference -- in him you find a truly humane, humble and ultimately wise human being. I was truly impressed to hear him quoting Nietzsche while in a concentration camp; this at a time when Nietzsche's work had been distorted and used to promote anti-semitism by the Nazis. 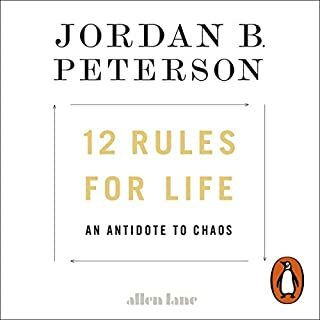 One warning though -- his existentialist philosophy is outdated and really needs to be complemented by a contemporary understanding of human nature. 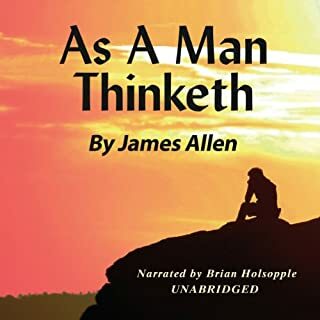 This is a bool that make you think to the core of your being, it makes you ask just as the title suggests, what meaning actually is and how you can poses it. The first half of the book is autobiographical and is an harrowing account of the concentration camps, harrowing but not graphic. The second half is psychoanalytical and more theoretical. I absolutely loved this book, I can recommend it to anyone one from young adult upwards. The first part talks about what he learned in his experiences in concentration camps. It doesn't focus on gory details, but rather what insights can be drawn from the conditions. 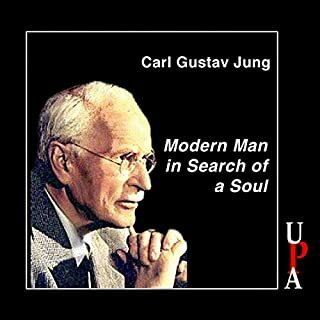 The second part is an introduction to logotherapy--which seeks to help people to find meaning in their lives and thus fulfillment. 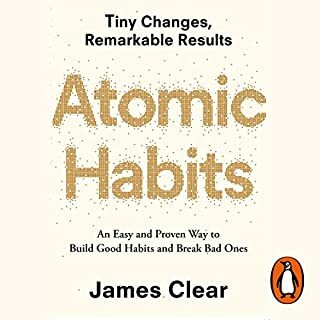 A book to return to again and again, whenever you feel your sense of perspective slipping. This is the story of a concentration camp prisoner whose humanity and intellect saw him through the worst of all times. The author states at the beginning that it is a book about humanity, not a record of the Holocaust or the realities of concentration camp life, and the lightness and readability of the writing is an incredible achievement. Frankl not only survived, but went on to form a school of psychotherapy that is still revered and relevant today. His central idea is that man can choose his attitude even when he loses control of his circumstances. Whatever horrors life throws at us, our thoughts remain our own. Whatever happens, we should be able to put our problems aside and focus on what is decent and humane and brilliant about the world around us. Compared to what Frankl and his generation went through we live in easy, care-free times. If he could keep his humanity and decency intact, the rest of us have no excuse. my first Frankl. just had to finish. 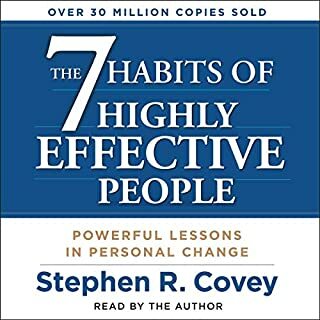 Audible is amazing at choosing right voices. grateful. I'd split this book into 3 sections. The second part of say is about how he helped the people in camp, some links to finding meaning and purpose and crossing the bridge between his time in camp and his use of logo therapy . The third part is where I tuned out a lot. 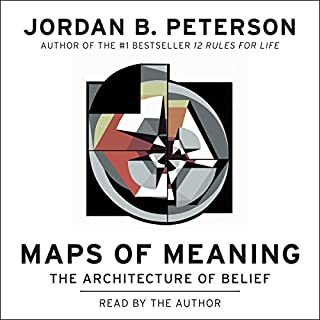 It's his views and use of logotherapy so can get quite deep - I'm not sure if it's he subject matter or he very English narrator (which works well on the first 2 parts, not as much on the third!) but it was quite specialist! Still, I'd rate this book highly for the first two sections! Loved it. Well read Simon enjoyed the smooth connectivity of the various facets of logatheraphy which although a deeply scientific practice I, a layman found it stimulating and simply understandable. Too, Frankls' book gives an unprecedented insight to the total trauma of one's in such predicament, useful therefore in understanding the plight of one's in such a position today, that is long suffering struggles. 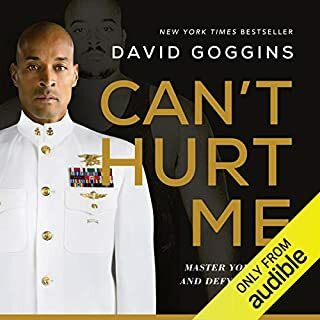 Very insightful book that is a great addition to anyone interested in what makes any persons struggle worth persevering with. The driving forces that can help someone overcome grief, adversity, when all seems pointless. So good I ordered the book for someone I know, and as a reference point for some volunteer work I do. Top notch book.